Having a positive outlook in life is a choice. You can choose to see the brighter side of life instead of letting depressive and negative thoughts take control of your mind. Doing so can have a positive impact on many levels of your health and well-being. Optimists are better skilled at coping with stress, have lower risk of cardiovascular disease and they also tend to develop a stronger immune system. Although optimism has been associated with many health benefits, the truth is positive thinking does not come naturally. So, if you are more of a skeptic, what can you do to lean into that optimistic thinker? Getting on the path to positive thinking may require different approaches, but they all revolve around identifying negative thoughts and replacing them with those that are more positive and hopeful. While it may take some time, with continued practice you will find that positive thinking will start to become second nature. To get started with this important character-molding endeavor, here are 4 tips to help you think more positively. The best way to develop any virtue is to adopt behaviors that reinforce that trait, and this applies to positive thinking as well. So, if you want to become a positive thinker, it is helpful to engage in activities that cultivate those emotions. Relaxation techniques such as meditation and yoga are effective ways to ease your mind and cultivate positive emotions. Even the simple act of smiling seems to boost a positive affect. You might even try developing a positive mindset by reading, reciting, and looking at, daily inspiring affirmations. The people you associate with can influence your behaviors, beliefs and overall perspective on life. It is therefore imperative that you choose your friends and associates wisely. If you hang around with negative people, eventually some of their negativity will begin to rub-off on you. So, if you want to develop optimism, you should surround yourself with positive people and spend less time around negative individuals. Pessimists will only feed your mind with doubt while optimists will inspire and encourage you. Negative thinking often stems from the fear of failure. It takes root when thoughts of a bad outcome become deeply rooted in your expectations. To think more positively, you should not fear failing because in doing so, you are inviting failure itself. Instead, view mistakes and failure as opportunities to learn. It becomes much easier to maintain a positive outlook when we have forgiving expectations for ourselves. What we feed our minds tends to manifest in our thoughts, words or actions. Therefore, if you want to be a positive thinker, you need to be careful of what you expose your mind to. You can increase optimism by listening to music or reading books that encourage positivity. Positive messages and stories can shape your thinking and lead to a more upbeat attitude toward life. There are many other approaches to improving positive thinking. The four methods shared above serve as a good starting point on the journey to mastering optimism. Remember that being a positive thinker does not happen overnight. It takes time to nurture this trait and therefore a consistent effort will be required. The olfactory system consists of specialized tissues, olfactory bulbs and olfactory mucosa, and parts of the body, the nose, and nasal passages. The olfactory system, which facilitates the sense of smell, shares an almost immediate connection with certain parts of the brain. One of the most powerful connections ties the sense of smell to the limbic system where memory and emotion reside. This region of the brain also influences heart rate, the balance of hormones, blood pressure, stress levels, and breathing. 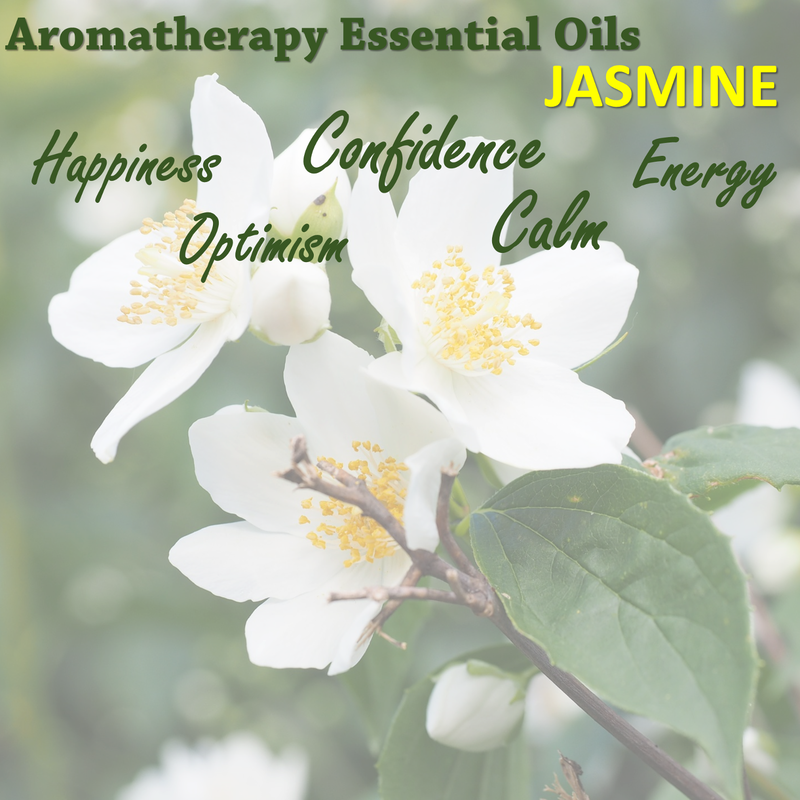 The broad influence of the limbic system and its strong connection to the sense of smell makes aromatherapy an effective treatment for balancing emotional and mental well-being. The causes of depression vary. Depression may arise due to a chemical or hormonal imbalance in the body, which can cause the mental state described as depression. It may also manifest following significant and difficult personal experiences characterized by loss or stress. Depression occurs when sadness deepens into more extreme feelings like apathy, a loss of self-worth, feelings of disempowerment and lack of hope. Clinical depression occurs when these feelings last for prolonged periods of time. Aromatherapy supports other therapies to alleviate the mental and physical symptoms of depression. The close relationship between the sense of smell and the areas of the brain, which control memory, breathing, and blood pressure, make it a fast acting method for combating depressive symptoms. Please note that aromatherapy is not a cure for depression and that you should always follow your doctor’s advice as to the best treatment options for you. However, aromatherapy is a great complimentary and all natural remedy that can uplift your mood anytime you use it. As with many alternative therapies, aromatherapy works best with consistent and appropriate application. When treating depression, essential oils may be used alone to address individual symptoms or as part of a synergistic blend to affect several symptoms at the same time. The essential oils selected to treat depression need to meet four criteria. A variety of recipes incorporating these oils may be discovered by consulting with an aromatherapist or searching online and in reference books on the topics of essential oils and aromatherapy. As you seek out blends or create your own, keep the properties of the desired oils as well as their scents in mind. The ratio of oils blended together as well as the dominance of their scent will determine the smell of the final product. Try to blend complementary oils together in complementary ratios. For example, rose, sandalwood, and vetiver would blend. There are many methods available for the use of essential oils. You may purchase pre-blended massage oils, creams, and lotions. You may also create your own blends for use in a diffuser or to add directly to a bath. Never use essential oils directly on the skin. Always mix them with a carrier oil or shake well when suspended in water. You may also choose to burn incense or place a few drops of essential oil in a pot of warm water; the oil will evaporate permeating the air with its scent as the water cools. Cooking with edible flowers and herbs can be a wonderful new way to add flavor and interest to your favorite recipes, or even branch out and try new recipes. There are many edible plants with wonderful tastes and visual appeal. Taking the time to research what is edible and which recipes it can be used in will not only add variety to your meals, but also phytonutrients (plant nutrients), vitamins and minerals. In terms of herbs, just take a look at any spice rack in a supermarket, and chances are you will see both old favorites, like oregano and basil, with new, intriguing herbs like borage and cilantro. Most herbs can be grown at home in containers or in the garden. They will be cheaper than store bought, and delightfully tasty when used fresh. You can also dry your harvested herbs, which will be a lot less expensive than commercial brands. Best of all, your own herbs will hopefully be organic and pesticide-free. Our ancestors wasted nothing. They started as hunter-gatherers, and through a process of elimination, discovered which flowers and herbs could be eaten. This knowledge got passed down through the centuries, and eventually made it into the earliest cookbooks. Many of these are free online, so you can discover popular dishes from the Middle Ages, or how Shakespeare would have dined. There is also a world of cuisines to explore, each with their own herb combinations. Italian food, Indian, Thai, Chinese... learning about the herbs and spices used can help you add variety to your weekly meals, without expensive restaurants or takeaway. Soups and stews are an excellent way to cook for two reasons. The first is that everything goes into one pot to simmer, for easy cooking and clean-up. The second is that everything is cooked together, so no nutrition is lost. Soups and stews tend to also be very hearty and filling. They are ideal when in a hurry or during chilly weather. Chances are you won’t overeat either, because the food will be so flavorful and satisfying. The herbs you use will depend on the main ingredients in the soup. For lamb, seasonings like sage, rosemary and thyme will enhance the food. Just add a range of vegetables such as peas and carrots, and some wedges of potato for a complete meal. One of the most popular sauces is Italian tomato sauce to pour over pasta. You can make your own in minutes with some fresh tomatoes that have been cored and quartered, and some oregano, basil and a dash of olive oil. Some people lightly sauté the herbs in the olive oil to release more of the flavor. Other sauces can liven up chicken, fish and beef. It is all a question of learning which herbs you prefer and which can be part of your fun journey of exploration. Edible flowers and herbs have also been used for centuries to make food more attractive, in addition to adding flavor if the items used are intended to be eaten. You can add flowers to ice cubes to add beauty and flavor to a pitcher of drinks, or a platter of cheese. Your salads can take on new and vibrant colors with the help of nasturtiums and other edible flowers. Edible flowers and some herbs were also the foundation of the desserts our ancestors loved. Rose petals and rose water were highly prized and used in many different recipes. Violets and other flowers were candied and eaten as is, or used to decorate cakes and puddings. Jellies were also very popular, and are both tasty and nutritious. ​When talking about your core muscles, you might think that the ultimate goal is to make them as strong as possible, just like with working out any other muscle. You also might be hearing people talk about core stability, but might not know exactly what the term means. While the two concepts are related by the same muscle group, the specifics are actually very different. Find out what makes core strength so separate from core stability, how they affect your body and what you can do to modify your workouts to focus on your core more effectively. Nicotine addiction is a serious condition and is one that is very difficult to let go of. Smokers who try to quit find that the withdrawal can be unbearable and so any type of aid that can ease the transition is not only helpful, but, can greatly improve the chances of success. Herbs that are mildly sedating have two-fold benefits: they soothe nerves and curb nicotine withdrawal. Green oats are believed to have both sedating and tonic effects on the nervous system. The post-cessation period will invariably call upon a varying degree of anxiety and panic attacks. While in such a state, passion flower can be used as a remedy. Mood swings and depression brought on by smoking cessation can be cured by kava kava, which, is an effective antidote to such emotional disorientation. Anxiety that follows immediately after you give up smoking can be alleviated by skullcap. It should be taken alone during the day, and with valerian at night as a natural sleep aid. Valerian is known for relaxing tense muscles. It is highly effective for insomnia, if that happens to be one of your quitter’s symptom, and allows you to get a good night’s sleep. The herb lobelia is used in many anti-smoking products, mainly because, lobeline, the herb’s active ingredient has similar effects on human body as nicotine. Studies have found that lobeline increases the level of the neurotransmitter dopamine in human brains, much in the same way cigarettes do. Dopamine is responsible for producing feelings of pleasure. Lobelia is a toxic herb, use with caution. As much as St. John’s Wort (Hypericum perforatum) is used to treat depression, some preliminary studies have validated the herb’s efficacy in smoking cessation. Up until now, all standard St. John’s Wort extract supplements were known to contain 0.3% of the active ingredient hypericin. A recent study suggests that another compound, hyperforin, found in the herb could be the reason why St. John’s Wort works as an antidepressant. On a cautionary note, St John’s Wort has the tendency to interfere with some prescription and over the counter drugs, such as, other antidepressants. HIV and AIDS treatment drugs, drugs to prevent organ rejection for transplant patients, and contraceptives. It is never recommended for pregnant or nursing women, kids, those suffering from liver or kidney disease and those with bipolar disorder. Nicotine releases neurotransmitter dopamine in the brain and causes smokers to experience the feeling of pleasure, which, results in addiction. Ginseng prevents nicotine-induced release of dopamine, however, no concrete research has been carried out to establish the herb as an anti-smoking agent. Evidence does exist, however, that Ginseng can help. Ginseng can help with side effects as both Asian (Panax ginseng) and American (P. quinquefolius) ginseng -- the former more aptly called “adaptogen” -- can help the body to deal with and adapt to the physical and mental stresses of quitting smoking. Ginseng’s positive effect on the brain is implicit. Regular intake of ginseng increases respiratory quotient, enhances alertness, concentration and improves visual and motor coordination. All of which can become impaired during withdrawal from nicotine. The Liver plays an important role in filtering out the toxins created by smoking, it is, therefore, crucial to ensure that it functions properly. Seeds of milk thistle (Silybum marianum) can be used to produce extracts that support healthy liver functions. Silymarin, at 70% concentration, is central to standardized milk thistle extract. Studies prove that standardized extract of milk thistle changes the liver’s outer cell and prevents toxic chemicals from entering the liver’s inner cells. The extract also elevates the liver’s capacity to create new cells, which, activates the liver-specific antioxidants. These antioxidants then eliminate the notorious oxygen radicals residing in the liver. Of all the things you can do in alternative health, the liver detox is probably one of the most important in terms of achieving maximum health in today's environment. For the health conscious person, a liver detox is mandatory. The best time for a liver detox is spring. Of all the things you can do in alternative health, the liver detox is probably one of the most important in terms of achieving maximum health in today's environment. We live in an age where our deteriorating natural environment is polluting our bodies with cigarette smoke, pesticides, food additives, smog, chemical toxins, heavy metals, and more that threaten our intestines, colon, kidneys, liver and gallbladders. It is best to detoxify your liver and gall bladder twice a year. Naturally remove heavy metals such as lead and mercury from the body. One of the primary purposes of the liver detox is to flush all of the gallstones from your body and minimize the chances of their return. A deep liver and kidney cleanse will improve your digestion and immune system and help keep your whole body healthy. - skin itching and irritation. Elevated cholesterol (and all of the problems related to high cholesterol). Detoxing is no longer practiced by only the healthy few. Detoxification is regarded as an essential element for successfully treating cancer by alternative cancer treatment specialists. Detoxification of the liver with a liver detox diet can get the liver working properly again and help the individual regain their appetite. Detoxification is an ongoing process that takes place continuously within the liver, lymph, kidneys, intestines, blood, and colon and in every cell in your body. Feeling tired and sluggish, blocked up or headaches, with less tolerance of alcohol, sugary foods or caffeine are all possible signs that your liver may benefit from a detox. The liver is the organ which helps in detoxification of our bodies. Find a cleanse that is an easy-to-use, a natural cleanse program containing minerals, vitamins, herbs and amino acids which have long been used to promote healthy detoxification and cleansing of the liver. Keep in mind, a colon cleanse may be of initial importance so as to prevent your body from reabsorbing toxins. The Trager Approach (also known as Trager Work) is a structural integration system, developed by Milton Trager, an American doctor. Milton Trager developed the psycho-physical integration technique during his medical practice, and over a period of 65 years. Trager had a congenital spinal deformity and through his own persistence became a dancer and gymnast. He died at the age of 88 and spent his life ‘healing’ many people with his amazing approach. During the 1970's his efforts were recognized by California’s Esalen Institute. He began to treat patients there and soon retired from his medical practice in Hawaii and began to work full time using the psycho physical integration technique. The term ‘somatic education’ is used to describe the Trager Approach, and also other bodywork therapies such as the Feldenkrais Method, the Alexander Technique, and Hellerwork. This type of therapy works to bring about improved communication between the body and mind, as many bodywork therapies do. During treatment, the patient lies on a massage table and the practitioner helps explore the range of motion through large movements. If an area seems to be stiff or unyielding, the practitioner may engage in a dialogue hoping to cause the movement to become lighter and freer. A trained practitioner of Trager work can sense tension and “blocked” areas of the body and manipulate them to release the toxic problem. Trager believes that “tight muscles can be caused by many things, but the pattern of tightness is all in the mind.” Releasing the tensions of the mind can cause a better range of movement and relieve tension and stress. Much of Trager work is based on the intuitions of the practitioner, and using hand and mind to manipulate and communicate, the Trager therapists awaken certain patterns in your mind and body through movement and touch. Rocking and shaking movements are incorporated to loosen the joints and help the patient relax, and Trager work therapy promotes feelings of lightness and freedom. The technique is designed to open the mind to realizations that certain movements of the body will not cause pain. For example, those patients suffering with chronic back problems, as did Trager, may find relief from these treatments. Athletes also use the method to enhance their performance and gain more flexibility. It also helps their movements become more graceful, improves their focus, speed and stamina. In addition, there risk of injuries is lessened and they conserve more energy. Carpal tunnel and even polio. More research is being conducted in the possible uses for Trager work and many natural healing practitioners are using this therapy to relieve the symptoms of certain conditions and promote healing. You can watch videos online to see how this treatment is applied.